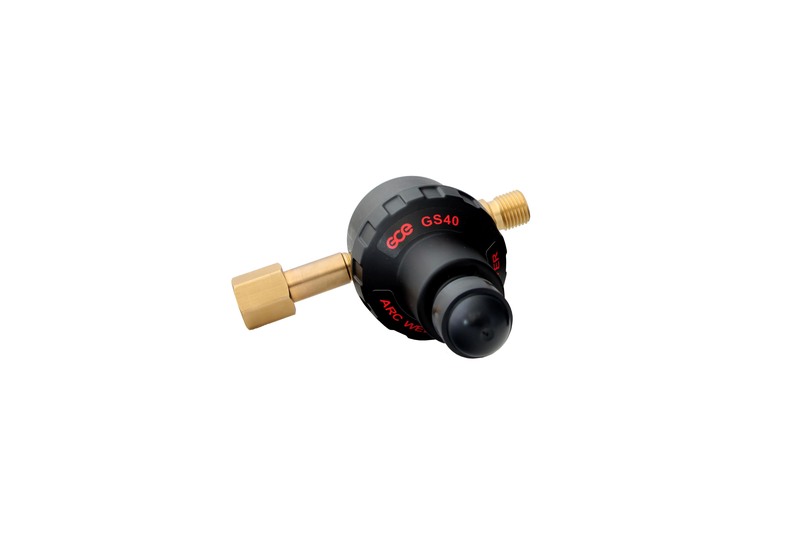 The device Pluscontrol GS40 must be applied to the outlet of all Argon or CO2 regulators of any brand. It solves the big problem of huge waste of gas when opening the torch solenoid valve, a few known. 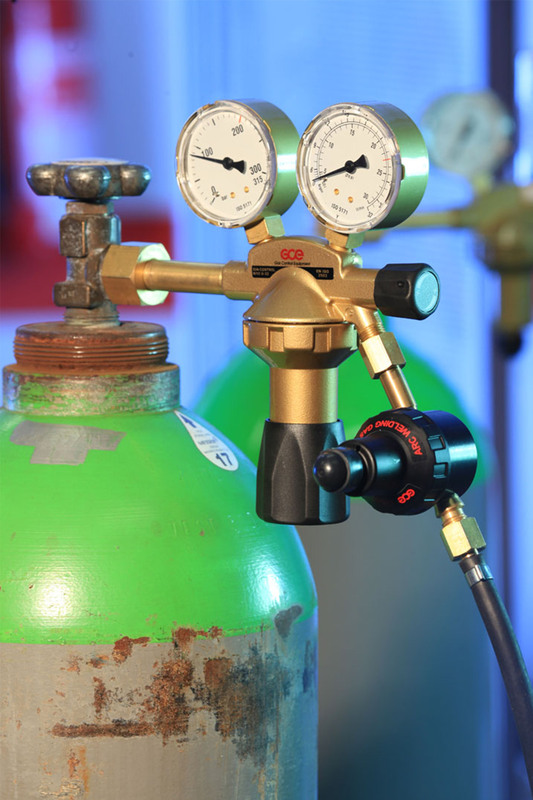 In that moment, in fact, the hose between the regulator and the solenoid valve remains full of gas at a high pressure due to previous stop of the flow (closing of the solenoid valve). As soon as you press the torch trigger (MIG or TIG) there is a release of a huge flow of gas which gets wasted. GS40 helps to save up to 40 % of your gas. 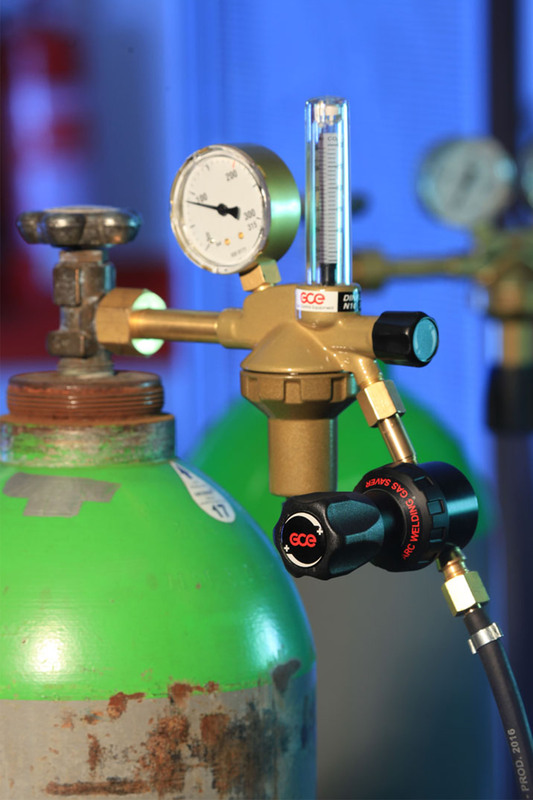 The device GS40 must be applied to the outlet of all Argon or CO2 regulators of any brand. GS35 helps to save up to 40 % of your gas.